“Beautiful Crazy” is a modern Country song that captures the tone of Traditional Country. Intelligent lyrics reveal a man in the “blown away by everything she does” stage of love, besotted, bowled over, amazed at his good fortune. “Beautiful Crazy” has sensitivity woven into it, much like Lonestar’s “Amazed,” a 20-year old Country hit that reached #1 on both the Billboard Country AND Hot 100 charts. “Beautiful Crazy” is a beautiful ballad, a moving, emotional love song, maybe with mass appeal, but certainly a “must listen to” for County fans. Right now, it’s ranked #12–headed for top 10 next week. 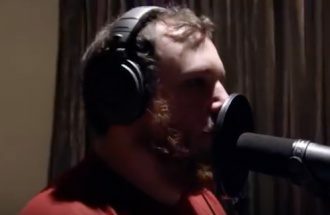 About Luke Combs: won New Artist of The Year at the recent Country Music Awards. Nominated for a Grammy (awards are in Feb.) in the all genre “New Artist” category. He’s had four consecutive #1 Country hits.